The famous Kauri of the Waipoua Forest lie at the southern edge of the Hokianga.Tane Mahuta, ‘King of the Forest’ is the largest Kauri tree in the world and is approximately 2000 years old. It is only a few minutes walk from the road. Exploring deeper into the forest you will also discover Te Matua Ngahere which is older than Tane Mahuta but not as tall. 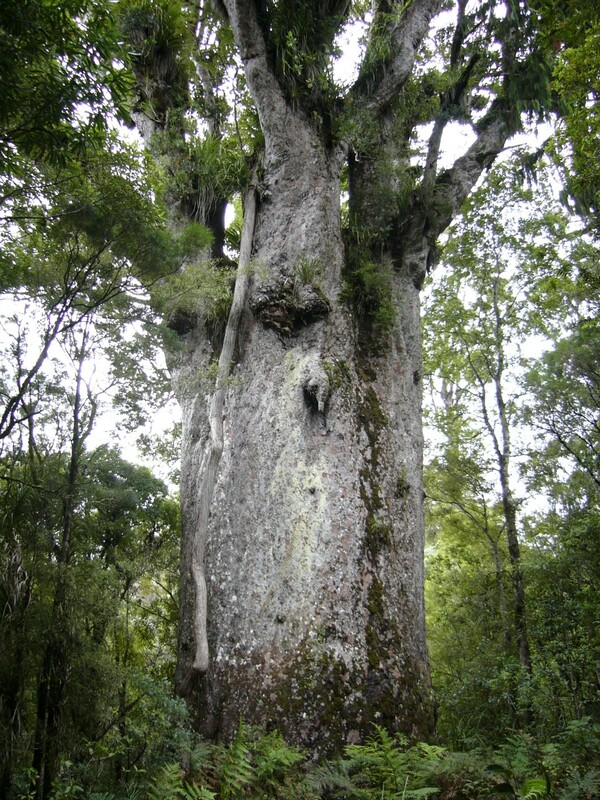 You will also find nearby The Four Sisters, which are four massive Kauri fused at the base.A longer but very worthwhile walk off the main track takes you to a breath taking stand of large Kauri trees known as Cathedral Grove and then on to the large Yakas tree. Originally most of the northern part of New Zealand was covered with Kauri forests with trees more than 50m tall, girths up to 16m, and living for more than 2000 years. Maori made their huge canoes from the Kauri trunks and also used the timber for buildings and carvings. Early European settlers quickly saw the commercial value of this magnificent tree and huge numbers of Kauri were cut down and used for building boats, houses, bridges, etc and the land was cleared for farming. What used to be 1.2 million hectares of Kauri forests is now reduced to a few reserves, the largest being the Waipoua Kauri Forest of 9015 hectares. Though the road through the forest is winding, it is spectacular. There is a café and information centre near the southern end and the main walks are near the northern end of the forest. 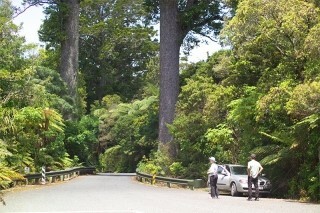 At Tane Mahuta look out for Tane ambassadors who can give you interesting and important information. There is also very comprehensive information and excellent displays at the Kauri Museum at Matakohe which is approximately 1 hour’s drive south of the Waipoua forest.